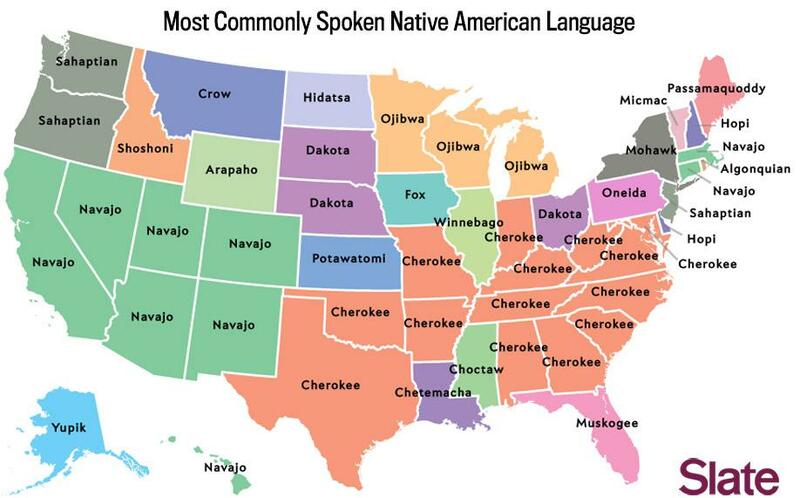 Language map: What’s the most popular language in your state? Last month, I wrote about the fun and the pitfalls of viral maps, a feature that included 88 super-simple maps of my own creation. As a follow-up, I’m writing up short items on some of those maps, walking through how I created them and how they succumb to (and hopefully overcome) the shortfalls of viral cartography. Data source: Census Bureau American Community Survey. Map by Ben Blatt/Slate. OK, that map is not too interesting. 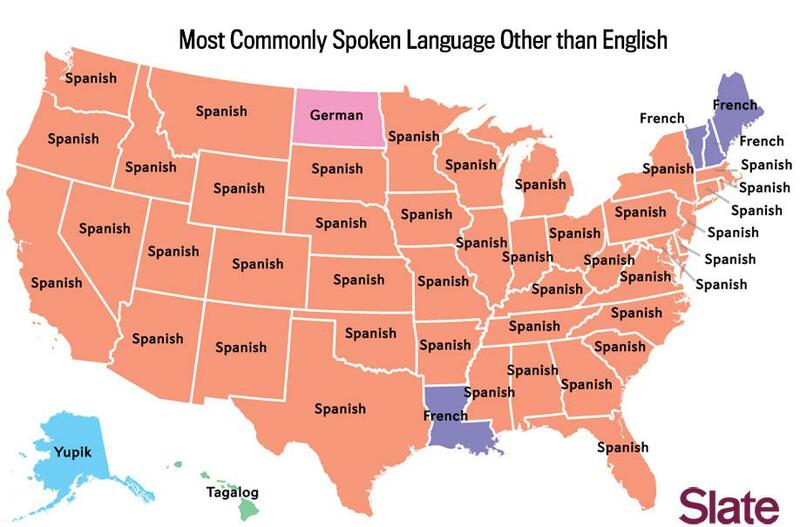 Now, let’s remove Spanish from the mix. 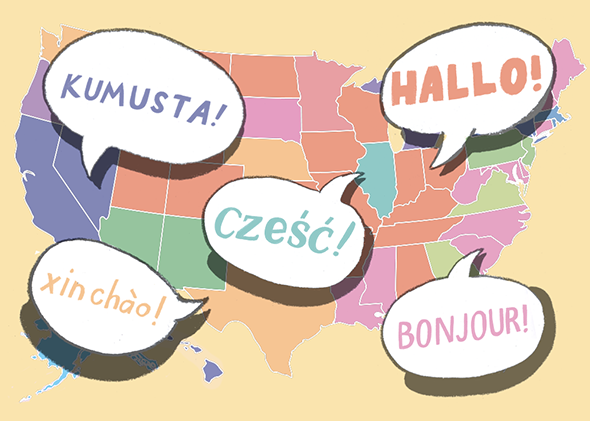 Here are a couple more language groups of interest. First, the Scandinavians. 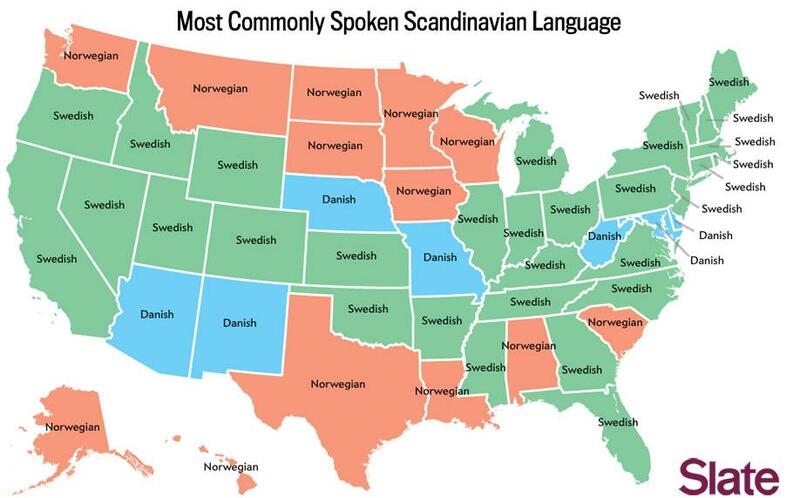 The census categorizes Swedish, Danish, and Norwegian as Scandinavian languages. Next up, Indo-Aryan languages. 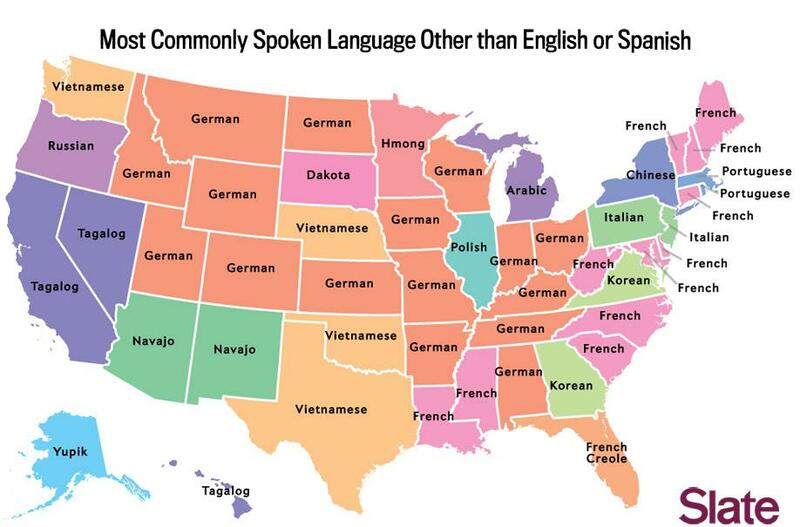 For the purposes of this map, we consider Hindi, Gujarati, Urdu, Bengali, Panjabi, Marathi, Nepali, and Sinhalese to fall into that category. Finally, African languages. 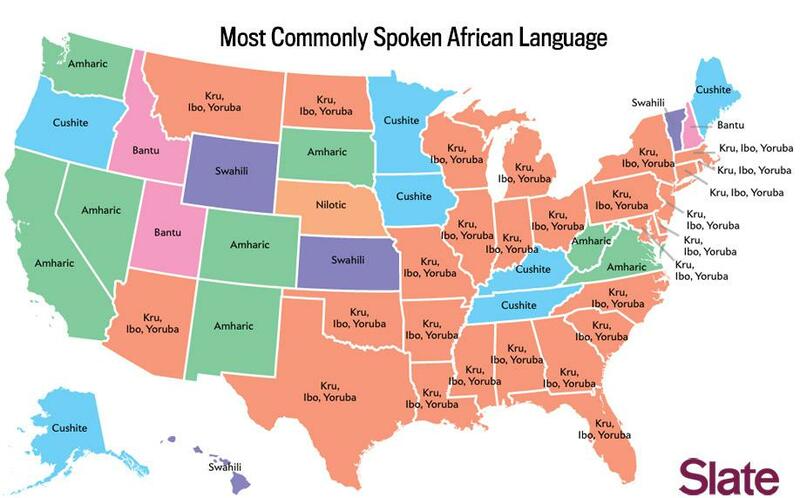 The choices here are Amharic, Berber, Chadic, Cushite, Sudanic, Nilotic, Nilo-hamitic, Nubian, Saharan, Khoisan, Swahili, Bantu, Mande, Fulani, Gur, Efik, Mbum, as well as “Kru, Ibo, Yoruba,” which the census lists as a single language.